Anxiety disorders are common, costly, and debilitating, impacting all areas of your life. Thankfully they are very treatable with anxiety medication, psychotherapy or both. 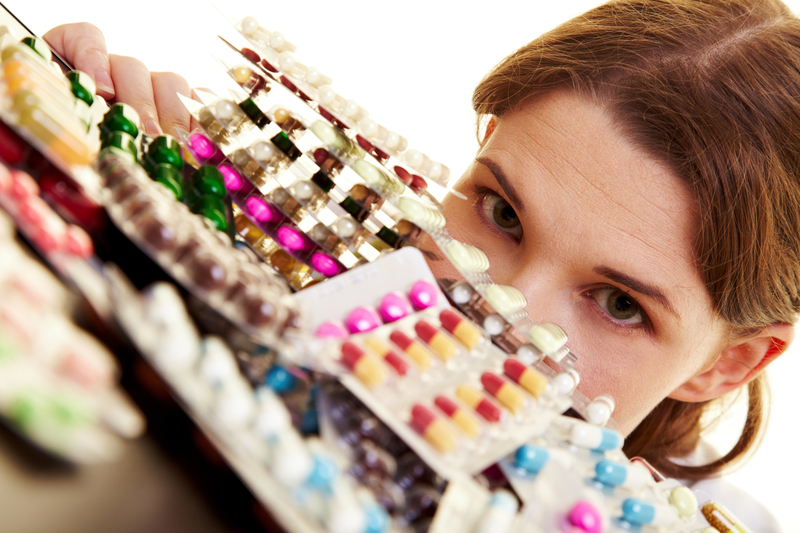 In this article we explore the anxiety medications available. Some 40 million adults struggle with anxiety disorder. Physicians often prescribe antidepressants, anti-anxiety medication, or beta blockers to help. Occasional anxiety is normal—in fact it can be helpful when it alerts you to pay attention (when you’re about to take a test, for example) or take action (if you’re about to step on a snake, for example). Anxiety disorders, however, involve a more chronic fear or worry that interferes with daily life and goes beyond what is helpful and healthy. Anxiety disorders affect approximately 40 million adults in the United States age 18 and older—and that’s 18 percent of the population every year. The good news is that it is a very treatable condition. Yet, according to the Anxiety and Depression Association of America, only 36.9 percent of those suffering receive treatment. Research has found that anxiety is due to a complex combination of genetic, biological, and environmental factors, including poverty, significant life events (such as divorce or death of a close relative), exposure to stress, parental mental health disorders, shyness as a child and elevated cortisol (one of the stress hormones). Women are at significantly increased risk, compared to men, of developing anxiety disorders. Individuals may suffer from unexpected sudden attacks of intense fear, often with physical symptoms such as palpitations, sweating, trembling or shaking, feeling breathless, and an unpleasant feeling of impending doom. They may also have intense worries about when the next attack will happen and will avoid triggers at all costs. Some people develop agoraphobia—a concern about being in enclosed spaces or in a place where a previous attack occurred. Panic disorder can lead to distress, disruption of normal function, depression, and even drug and alcohol abuse (self-medication). If you’re worried that you might be suffering from anxiety, make an appointment to see your primary care doctor or a psychiatrist. They may want to perform some simple blood tests to rule out thyroid problems, anemia, or low blood sugar. Anxiety disorders are usually treated with medication, psychotherapy, or ideally, both. In addition, support groups, lavender oil, and stress management techniques such as meditation, biofeedback, massage, and hypnosis can be very useful. Read our article “2 Top Naturopathic Physicians Share Their Natural Remedies for Anxiety” to learn more about non-drug options. The choice of treatment type and dose usually comes down to the nature of the problem, severity of symptoms, level of function, support network, other medical conditions, personal preference, and what is covered by insurance (psychotherapy may not be covered). Antidepressants: These can take up to six weeks to have a full effect. Most commonly prescribed are SSRIs (selective serotonin reuptake inhibitors). They work by blocking the reuptake of serotonin, which increases the levels in the brain. Antidepressants are not addictive. Common medications include Prozac, Lexapro, Zoloft, Paxil, and Celexa. Common side effects may include feeling agitated, shaky or anxious, nausea, indigestion, bowel upset, loss of appetite and weight loss. Warning: Antidepressants carry a “black box” warning for children, teens, and young adults due to reports of suicidal thoughts and suicide attempts. They should be monitored carefully. Anti-anxiety medicines: Also known as anxiolytics or “tranquilizers,” this group of medications produces feelings of relaxation and calm. Benzodiazepines are most commonly prescribed. They work by enhancing the action of the calming neurotransmitter GABA (gamma amino butyric acid). They are most useful in an acute situation, where anxiety has suddenly become a significant problem, and when a fast solution is needed. Common medications include Xanax, Klonopin, Valium, and Ativan. Common side effects may include Tiredness, disorientation, and dizziness. Side effects are dose-dependent. These medications are addictive. Beta blockers: These block the stress hormone norepinephrine and reduce the physical symptoms of anxiety. They don’t affect the emotional symptoms directly. They are often used in phobias such as social phobia and test or performance anxiety. Beta blockers are not addictive. Common medications include Tenormin and Inderal. Common side effects include diarrhea, stomach cramps, low blood pressure, nausea, and vomiting. How the medication should be stopped: Some drugs can’t be stopped abruptly but must be tapered off slowly under a doctor’s supervision. While anti-anxiety medications are effective, research shows that they are best used in combination with psychotherapy (talk therapy) such as cognitive behavioral therapy (CBT). Research funded by the National Institute of Mental Health (NIMH) led to the development of a treatment model called Coordinated Anxiety Learning and Management (CALM), which includes medication plus an eight module online CBT course. Research shows that the CALM model is significantly more effective in treating anxiety than medication alone or CBT alone. The National Institute of Mental Health (NIMH) offers advice and resources on mental health disorders. Anxiety and Depression Association of America (ADAA) is an international nonprofit organization dedicated to the prevention, treatment, and cure of anxiety and depressive disorders. agoraphobia, alcohol, anemia, anti anxiety, anti anxiety medications, antidepressants, anxiety, anxiety and depression, anxiety disorder, anxiety disorders, anxiety medication, anxiety medications, anxiety research, anxiety symptoms, appetite, ativan, beta blockers, blood pressure, blood sugar, brain, breathing exercises, celexa, chemical imbalance, children, cognitive behavioral therapy, combination therapy, cortisol, cramps, depression, diarrhea, dizziness, elevated cortisol, fatigued, gaba, gad, generalized anxiety, generalized anxiety disorder, health, hormone, how to overcome anxiety, indigestion, lavender, lavender oil, lexapro, low blood pressure, low blood sugar, massage, medical conditions, meditation, mental health, mindfulness, muscle, muscle tension, natural remedies, natural remedies for, natural remedies for anxiety, naturopathic, neurotransmitter, panic disorder, paxil, remedies for anxiety, sad, selective serotonin reuptake inhibitors, serotonin, serotonin reuptake, serotonin reuptake inhibitors, side effects, signs of anxiety, sleep, social anxiety, social anxiety disorder, social phobia, stomach cramps, stress, stress disorders, stress hormones, stress management, stress management techniques, suffering from anxiety, sugar, suicidal thoughts, supplements, symptoms of anxiety, thyroid, tiredness, vitamins, vitamins and supplements, what does anxiety feel like, what is anxiety, zoloft.